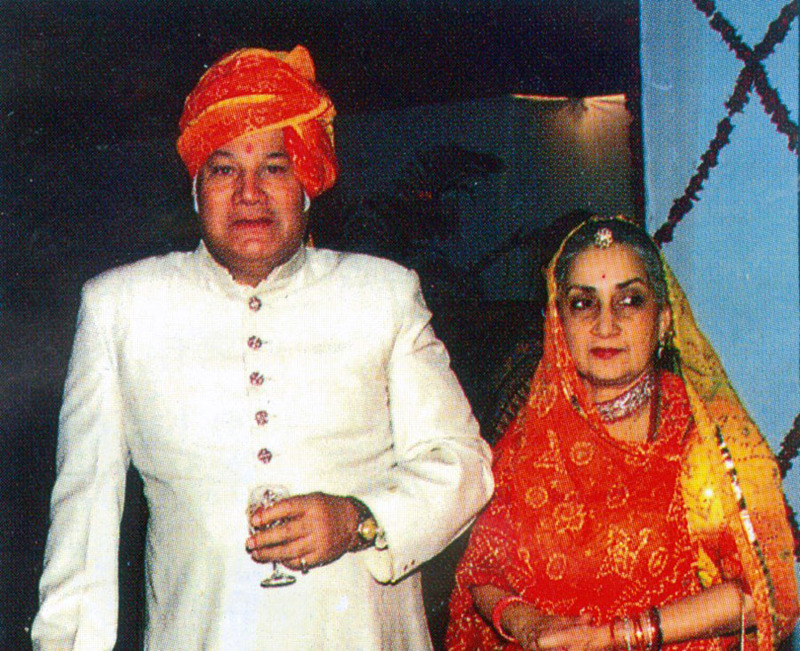 Maharaja Dhruv Dev Chandra was married in Tehri Garhwal. 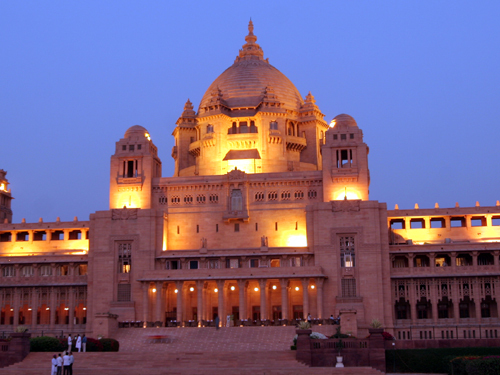 He passed away in December A.D. 1988 and was succeeded by his eldest son the Erstwhile Maharaja Aditya Dev Chandra. Maharaja Aditya Dev Chandra educated in Doon School - he is the present head of the Katoch clan and like some of the ex-rulers in India he too has now become a hotelier and businessman. In 1990 he contested for the Thural Legislative seat. He is also a patron member of the Akhil Bharatiya Shatriya Mahasabha. 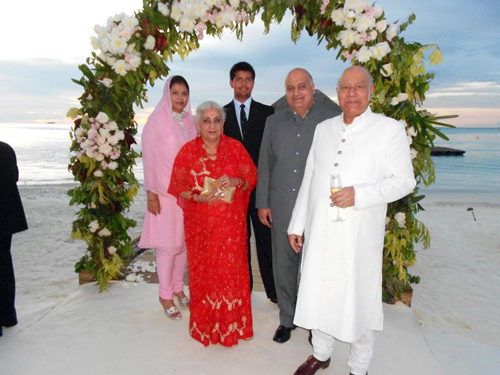 He is married to the eldest Princess Chandresh Kumari of Jodhpur, Rajasthan (she is the elder sister of H.H. Maharaja Gaj Singh - II of Jodhpur). She joined politics (Congress Party) by contesting her first legislative assembly elections in A.D. 1972 from there she went on to become a Minister of State (Himachal Pradesh) for two terms. After spending almost 10 years in the State Assembly, she went on to become the youngest ever lady member to be elected into the Lok Sabha (Lower House of Parliament). She had contested from Lok Sabha constituency seat of Kangra and in a matter of speaking Kangra was once again (for 5 years) looked after by a direct member of the Katoch Royal Family. 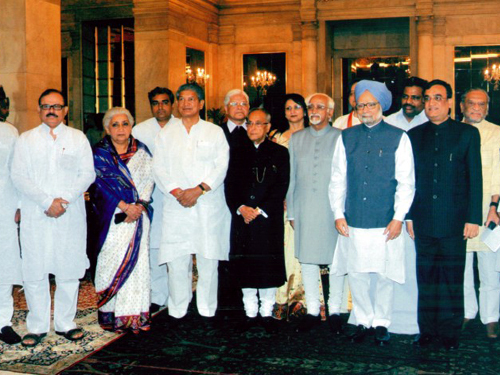 In 2001, the honor of Himachal Ratan was conferred upon her. 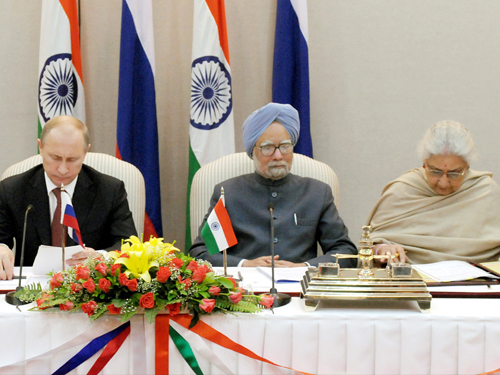 From 2003 to 2007, she was elected as a member of Himachal Pradesh Legislative Assembly (third term). In 2003-2004, elected as Cabinet Minister in Health Department in Government of Himachal Pradesh. She was an elected member of the Rajya Sabha (Upper House of Parliament) and is also the President of - All India Mahila Congress (the women's wing of the Congress). In 2009, she won the Lok Sabha Member Parliament seat of Jodhpur and in 2012 she was appointed as a Cabinet Minister for Culture in Government of India. 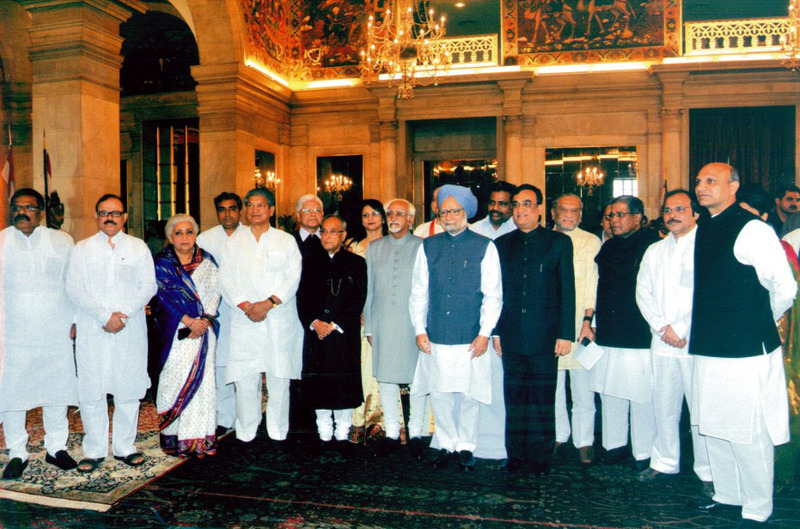 Rani Chandresh Kumari with President of India Mr. Pranab Mukharjee, Prime Minister of India - Mr. Manmohan Singh & co-appointed cabinet ministers.